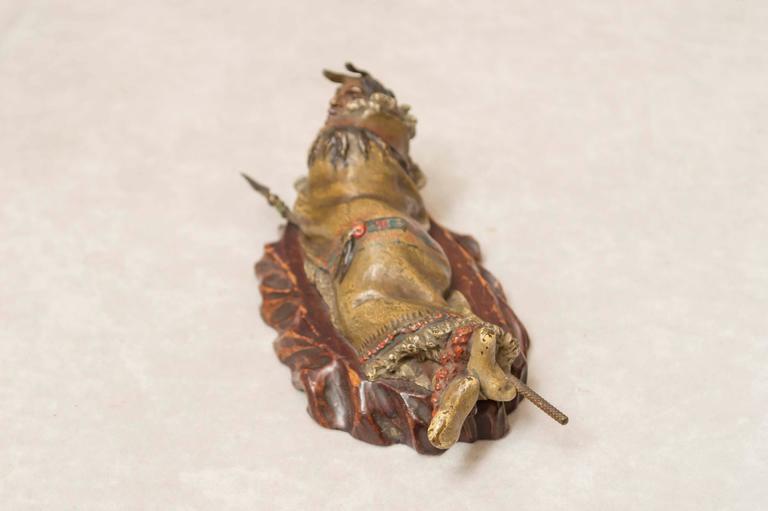 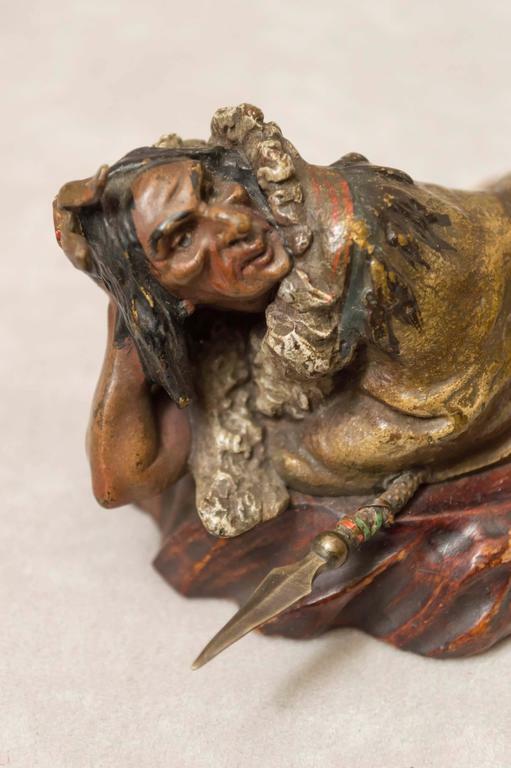 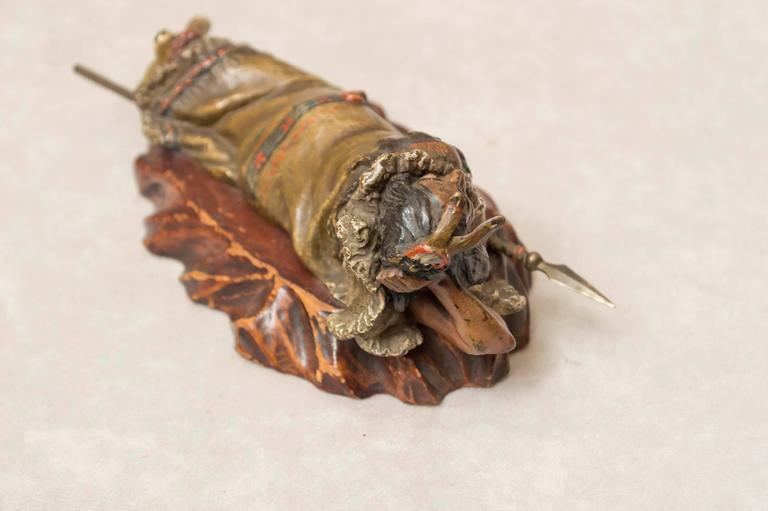 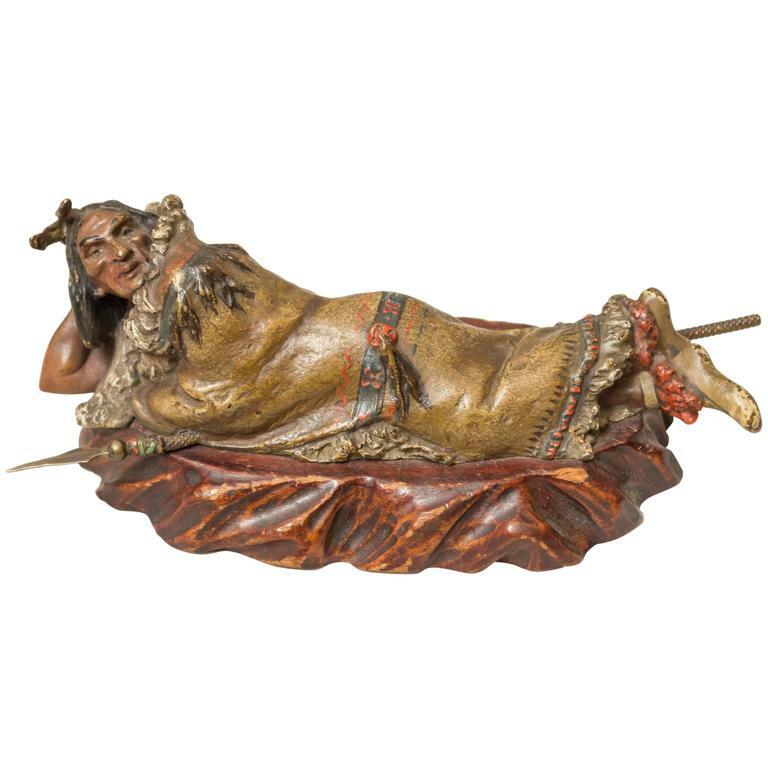 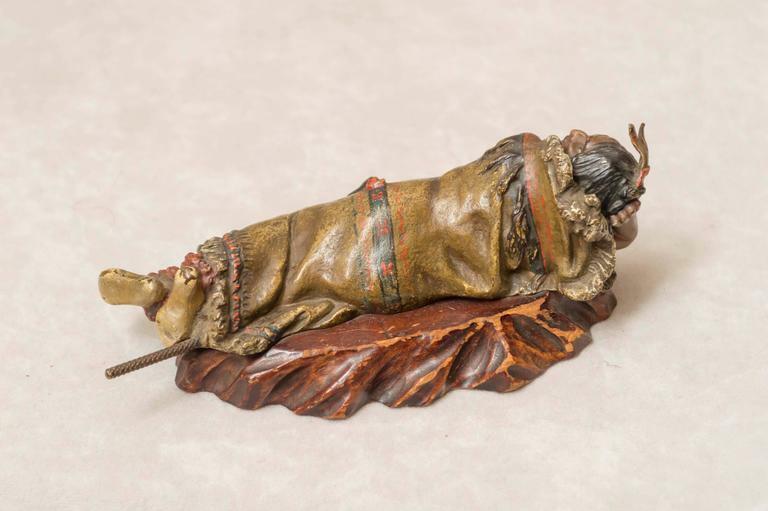 This finely detailed and meticulously painted bronze figure of a reclining Indian is another example of the fine work done by Franz Bergmann. 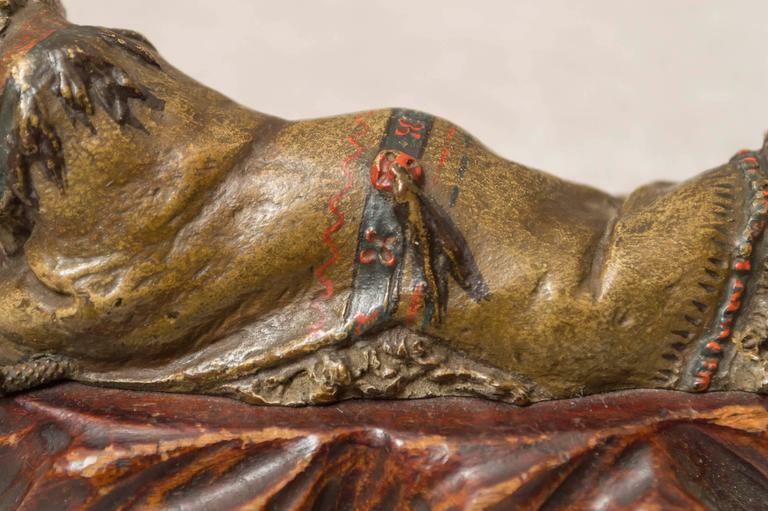 When removing the wooden base, the signature is revealed. 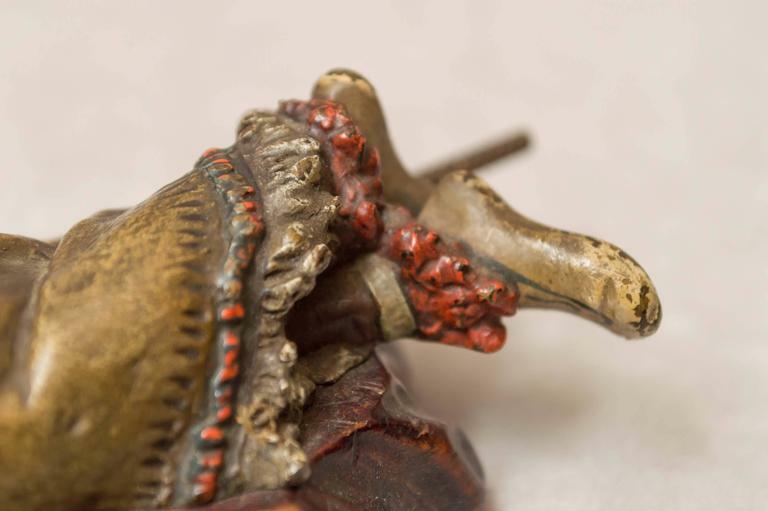 Wooden base has been added. 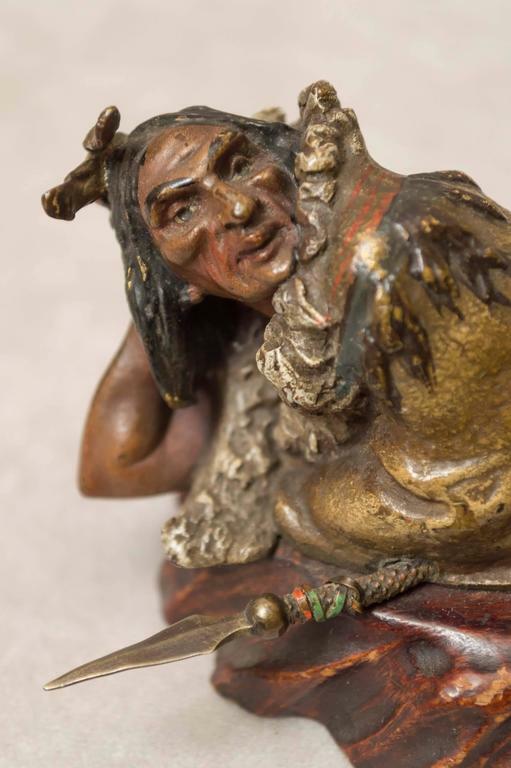 A cold painted bronze figure of an eastern lady serving coffee most probably Bergman work shop. 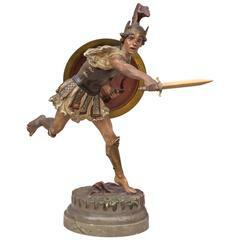 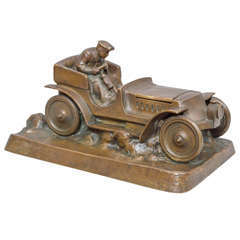 Early 20th century, orientalist, Bergman style bronze sculpture, Austrian.